Very cool to see that it will support Apple's 7.5W charging! Looks like I found a mother’s day present for my wife and a birthday present for her too! Put me down for both please! I have the PowerPort Speed PD 5. If I'm using this on one of the USB-A ports, will I be able to take advantage of the maximum 7.5 for iPhone, or will I HAVE TO use the included QC3 adapter? I'd like to add, though... What about 10W? Would that require the QC3? 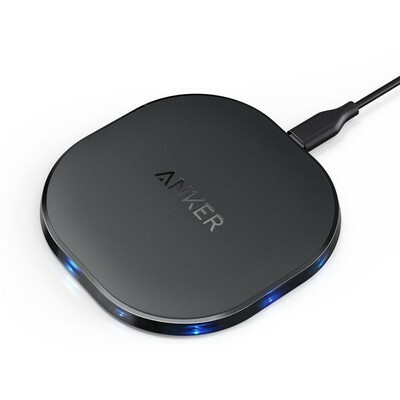 Anker PowerWave 7.5W Wireless Pad now available on Amazon. According to the listing, it is in stock and ready to ship now. Thanks for the update looking to buy. Maybe I’ll wait a day and see if the power users get a discount code on it. Seems like all the new products are getting discount codes. How long before these get released in the UK? Are we talking weeks, months? Wow very detailed review! I love it! I need to get one of these. Am I the only one who loves Anker's packaging? In the end of March, it will be released in the UK. You have to use the QC 3.0 charger to get 7.5W charging speed. Yes, it require QC3 to achieve. So can I confirm the that PowerPort Speed 5 Ports will work for full charging compatibility instead of using the block included, because it has QC3? Sorry for the bombardment of questions! I was able to have Amazon assist me in a return of the PD so I can get the Speed 5, but I have until today to send it back!